"Your new overlord sends you a greeting, and also bestowed upon you a gift: Your own loyalty COLLAR"
Robosaru is the centrepiece of all maps in OBEY. Bunnies in control of Robosaru earn 20¢ every 2 seconds that the Power Plant is ON. They also gain a bonus 300¢ every time Uranium is placed inside the Feed Box, and 25-75¢ for each piece of Scrap that is delivered in the same way. Robosaru may purchase a Dropship at any time during their reign in Robosaru, for 1500¢. Robosaru grants the Bunny in control an incremental money bonus the longer it is held. Every 2 seconds, the income from controlling Robosaru is increased by 0.075¢. This bonus is reset upon subversion, and increases regardless of Power Plant status. This means, for example, that after 8 minutes and 54 seconds, an unbroken reign in Robosaru will have allowed the income to double to 40¢ every two seconds. The Bunny in control of Robosaru has far worse vision than the Bunnies who are roaming around the map. In addition to Robosaru's turret-mounted spotlight which always lights up the area he is aiming at, and the Dropship spotlight which always lights up the area directly below and infront of the Dropship, only areas illuminated by placed Lights, fires, and a miserable amount around map-born fungi are able to be seen by Robosaru. Thus, Robosaru will often be required to trust other players to OBEY when the spotlight is not on them, and to alert Robosaru if other Bunnies are attempting to subvert them. 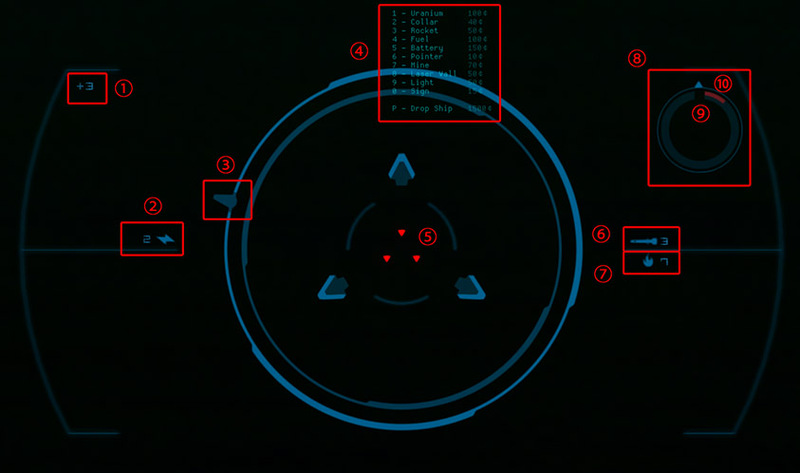 The player controlling Robosaru loses the ability to view other player's scores or positions on the scoreboard. Robosaru has a variety of methods to communicate their orders. The player's name in chat is red and is preceded by "ROBOSARU". Whenever Robosaru uses voice communication, their name is colored red. When Robosaru whispers, only Bunnies near the reticle receive the message. The quick chat commands (Hop key) can be customized in TextMacros.txt. They provide Robosaru with a way to quickly send long (or colorful) chat messages with only a couple key presses. Robosaru can also use the Directives Menu (Menu key) to drop contextual icons onto the map that are visible to all players. The ¢ Directive is the only icon with an actual function: it transfers 50¢ from the bank of the player who dropped it to the bank of the Bunny who picks it up. The Bunny in control of Robosaru has five direct methods of eliminating Bunnies they deem to be disOBEYing. The primary cannon (Action key) has infinite ammo and fires extremely rapidly. However, it is also terribly inaccurate, kicks up a lot of billowing smoke, and occasionally starts small fires. This not only makes it very difficult for the Bunny in Robosaru to determine whether or not they landed a hit, it also can provide a means of hiding for Bunnies who were not involved in the original barrage. The cannon cannot directly deal damage to Bunnies behind solid terrain, (although the stray ricochets can) and due to a blind spot it is unable to hit bunnies who have made it inside of the Sentry ring. The cannon can and will destroy items, so care must be taken when firing it around stashes of expensive drops. The flamethrower (Flame key) consumes Fuel at a rate of 3 units per second, which must first be deposited into the Feed Box. It is useful for eliminating approaching bunnies as the resulting fire provides terrain that is dangerous, opposed to the safe, view-blocking clouds that the Primary Cannon causes. The flamethrower is positioned far lower than the Cannon, and thus can hit Bunnies who are very close to the door. However, the flames do not damage Bunnies who are hiding in water, and care must be taken using the flamethrower around the Feed Box as Bunnies killed with flames are turned into charred Corpses. The flames can penetrate solid objects, and does not damage items, making the Flamethrower the best tool for eliminating bunnies utilizing hard or semi-hard cover like terrain and items. The heat emanating from the flamethrower's spout can kill bunnies that are within a fair radius of it. This heat radius can be used to cook any bunnies who manage to climb onto Robosaru's base or who are camping the door. The Missile Racks (Drop key) consume Missiles, which must first be deposited into the Feed Box. Missiles travel very quickly and have a large radius of damage, so they are useful for top priority Bunny eliminations. Missiles rarely leave the intended target alive, and the blast radius can be used to hit Bunnies behind cover. Missiles do leave billowing clouds and traces of fire, so care must be taken not to use them excessively near the Feed Box or other high-trafficked areas, for risk of killing OBEYing bunnies or leaving charred corpses. Missiles also destroy almost all items within its radius of effect, so extreme care must be taken when firing it. 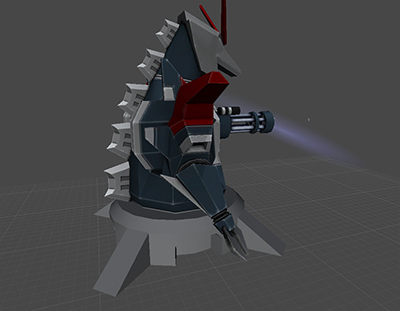 Sentries (Next key) are small spires which are located in a circle around Robosaru. Activating them enables them for 15 seconds and consumes a single battery charge, which must first be deposited into the Feed Box. While sentries are active, they will automatically fry any Bunny who moves too closely, or who happens to be already too close. Bunnies wearing a collar are immune to the Sentries' shocks. Sentries are usually placed close enough and have a large enough radius to prevent uncollared Bunnies travelling between them. Sentry lightning arcs require an unobstructed path to their target: they will not fire if blocked by terrain, constructs or dropped items. The Bunny controlling Robosaru possesses the ability to manually detonate any Collar that is on the map with the Next key. If a Bunny is wearing or holding the Collar being detonated, they will be killed. The player being subverted is killed. They respawn on the map, or inside the Dropship if it exists. 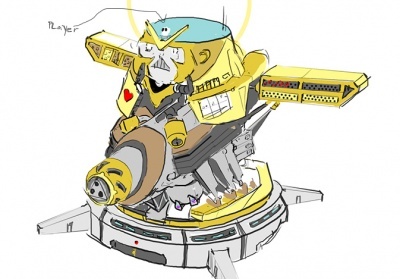 If a Power Plant exists, and was ON, up to 15% of the Robosaru's money is dropped as directives around the drop zone. Bunnies that pick up these ¢ directives take the money away from the player who was subverted. The amount dropped fractionally decreases based on the ratio of OFF Power Plants to ON Power Plants, and how long the player had been ruling for.. If a Power Plant is OFF, the Power Plant will trigger ON, burning nearby bunnies. Items obstructing the exhaust pipe of the Power Plant may be forcibly destroyed. If the exhaust is clear of obstructions, the Power Plant will remain ON. All other bunnies are automatically equipped with Collars, (or have it dropped infront of them if they already have 3 items) and receive an automated message from the subverting player. If a bunny is already holding or wearing a collar, is inside the Dropship, or is within range of a Sentry (but not necessarily in line of sight), then they are not given a Collar. An electric field is projected around Robosaru for 4 seconds. This will kill any and all bunnies at or closer than Robosaru's Legs, regardless of whether they have a collar. 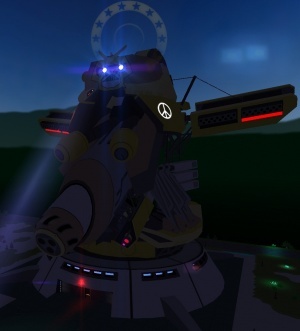 The Sentries at Robosaru's base are activated for 15 seconds. This automated activation does not require nor consume a charge. If there are 4 or more players on a server, and the server has not auto-purchased a Dropship this round, the server will do so now, in addition to spawning 8 uranium at the drop area. The Dropship purchase deducts 1500¢ from the new Robosaru's account. As the Flamethrower is offset to Robosaru's left side, the red notch on the orientation ring indicates the area Robosaru needs to face when looking directly down in order for his Flamethrower to burn and kill Bunnies at the door. The timer in the centre of the Rotation Indicator displays how long before a Dropship drop occurs. 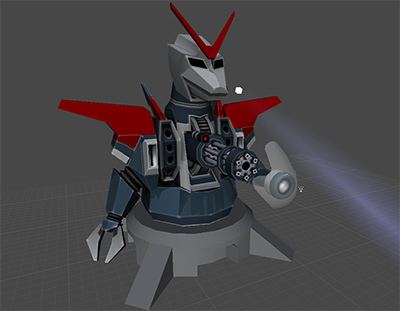 In this older version of the game, Robosaru had a different model which took inspiration from Mechagodzilla. 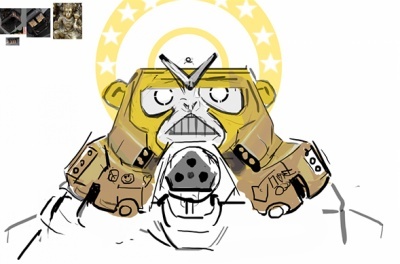 There are many contributing factors to Robosaru's design, from the model shape and colors, to the iconography, to the positioning of the weapons. The entire game is filled with subliminal messages, but Robosaru is the focal point and thus has the highest concentration of these. This page was last modified on 3 September 2015, at 08:41. This page has been accessed 128,938 times.